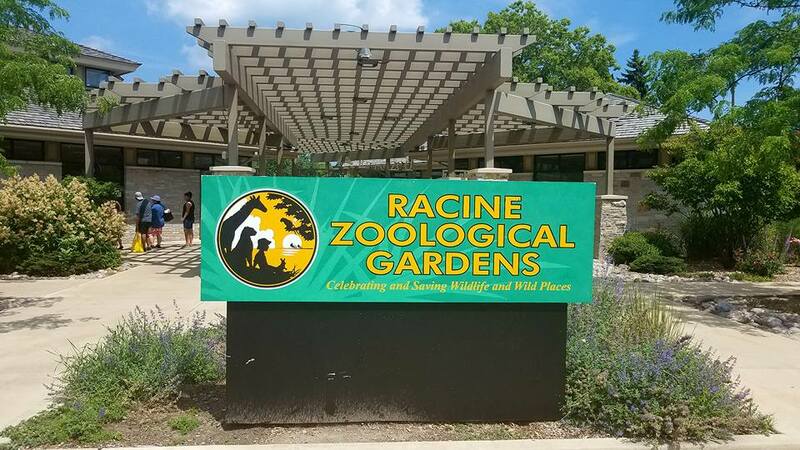 The Racine Zoo, located in Racine, Wisconsin, was established in March 1923 by Jacob Stoffel, Jr. That winter, the Racine Zoological Society was formed to work with the park board and to increase interest in the Zoo. The Zoo’s first animals were donated by Stoffel himself. After that, many organizations throughout Racine donated animals such as badgers, foxes, and mountain goats to add to the collection. In 1925, monkeys were added, the first species native to areas outside the United States. Currently, the Racine Zoo cares for approximately 100 different species of animals from Wisconsin and around the world. The Racine Zoo is one of only 225 zoos accredited by the Association of Zoos and Aquariums. Each year, more than 125,000 guests visit the Racine Zoo’s 28-acre park on the shores of Lake Michigan. The Racine Zoo maintains a staff of 25 full-time employees including animal care specialists, administration, and facility managers. To foster an enlightening and affordable wildlife experience that improves the bond between people and nature. The Society will provide for the recreation and education of the people, the conservation of wildlife and wild places, and the advancement of science. Provide a sanctuary for positive interaction between people and the natural world. The Conservation Education Department of the Racine Zoo is dedicated to promoting awareness of conservation issues through engaging, educational, and entertaining Zoo experiences. The Racine Zoo Conservation Education Department offers a multitude of popular programs to spread a positive message about wildlife including: live animal educational programs, birthday parties, Zoo Slumber Safaris, holiday events, the Wildlife Explorers school program, Zoo summer camps, scout programs, and Behind-the-Scenes Safari. The Racine Zoo is involved in many local, national, and international conservation initiatives including the ornate box turtle head-start program, Frog Watch USA, population monitoring of the Johnstone’s frog, and many others.